Six Big Pile Of Colorful Wrapped Gift Boxes. Mountain Gifts Set. Beautiful Present Box With Overwhelming Bow. 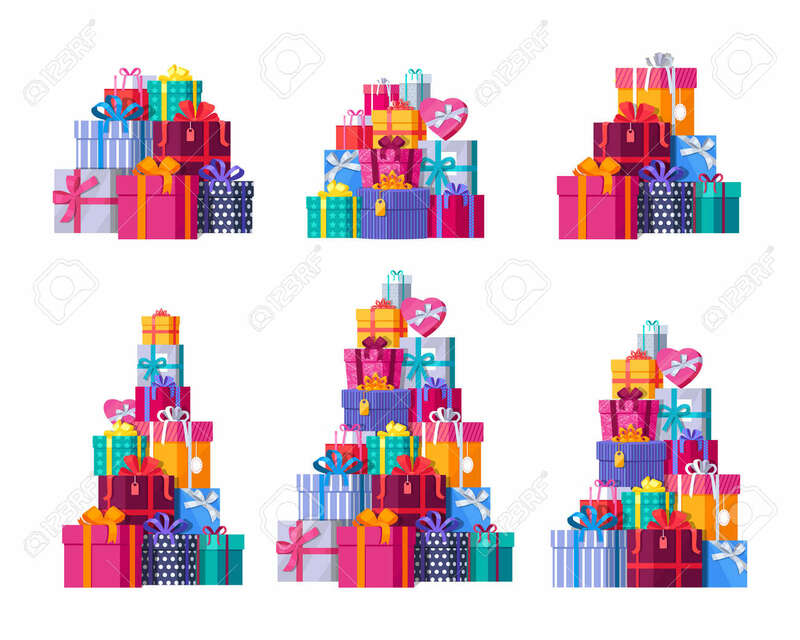 Gift Box Icon Set. Gift Symbol. Christmas Gift Box. Isolated Vector Illustration Royalty Free Kliparty, Vektory A Ilustrace. Image 67670292.